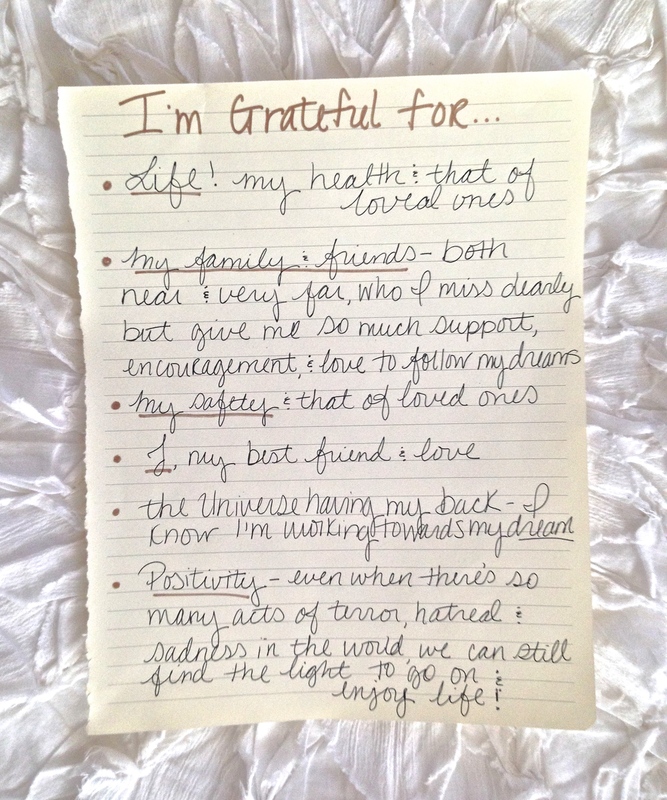 This time of year we often reflect on the many things in our lives that we’re grateful for, and this early Thanksgiving morning I took a moment to think back on this year and write down all the things that I am grateful for so far. It’s been one long but fulfilling year, one I’ve learned so much about myself, one I’m feeling very happy and excited with, and one I plan to savor until the last day. This holiday season is one spent gathered with family and friends celebrating, but it’s also important to recognize and remember the rest of the world. With so much turmoil and hatred, I strongly believe in sharing kindness and being honest wherever we go, to whoever we meet. It’s the little things that matter, like the food and house we have on this day, because so many don’t even have that. However you may be spending your Thanksgiving, I hope that it is safe and happy, spent with those who are important to you. Don’t get caught up in the mundane stress of creating perfect decorations, or overworked in controversial family conversations, just be, enjoy it, and revel in the positive things of today and simply be grateful.